With weight-saving XLT sole technology and reliable weatherproof performance, the Men's Samaris Low Shoe offers exceptional comfort on long days outdoors. The endurance mesh upper is engineered with extra space around the toes to prevent blisters and features shock-absorbing EVA pad to reduce fatigue. Hydropel technology efficiently disperses mud and water while the internal Isotex bootee protects against rain and allows your foot to breathe. 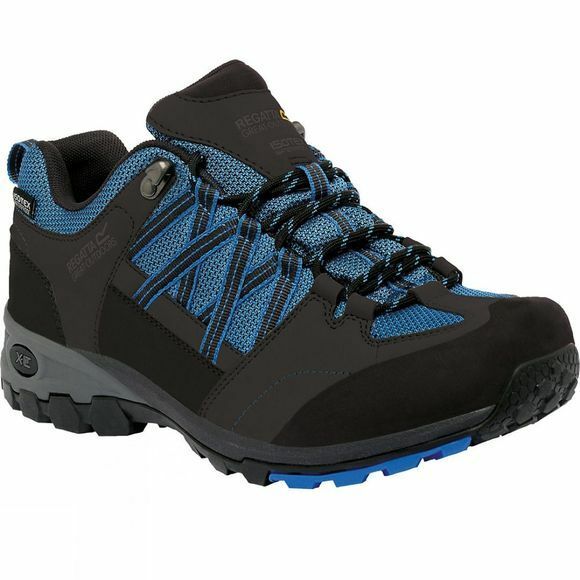 Underfoot you will find a hardwearing carbon outsole for exceptional durability.